These Crock Pot Pineapple Cranberry Chops are so good. My family loves this recipe. The pork chops come out tender and the gravy is wonderful. Brown pork chops in oil on top of the stove. Place onion and green pepper rings in the bottom of 3 quart crock pot. In a bowl mix together the crushed pineapple plus juice with the cranberry sauce, brown sugar, black pepper, salt, soy sauce, garlic powder and vinegar. Place pork chops on top of the onions and peppers and pour the pineapple cranberry mixture over the top. Cook on low for 6 to 7 hours or high for 4 hours. Serve chops with gravy over pasta, rice or mashed potatoes. We love this with mashed potatoes as shown in the photo. Makes 4 to 6 servings. Enjoy! Feel free to “share” with your friends by clicking on the Facebook, Twitter and Pinterest buttons at the bottom of each post. You can print by clicking on the green printer icon below. This was delicious! We served it with some mashed potatoes, and we all but licked the plate clean! I am putting this on our rotation. 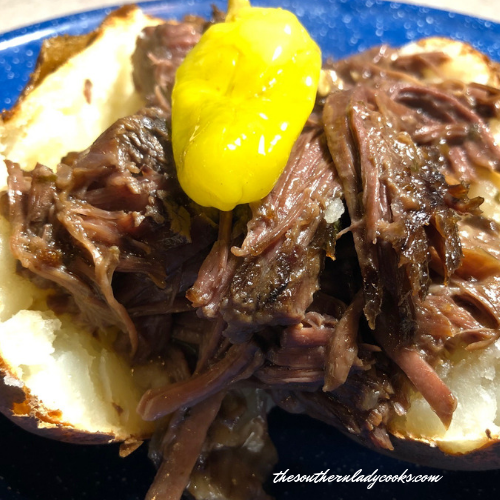 So glad you enjoyed this recipe, we love this one too! Tom we are not going to give nutritional information, we are not nutritionist, we are southern cooks. Can you do thesame recipe with a small loin? 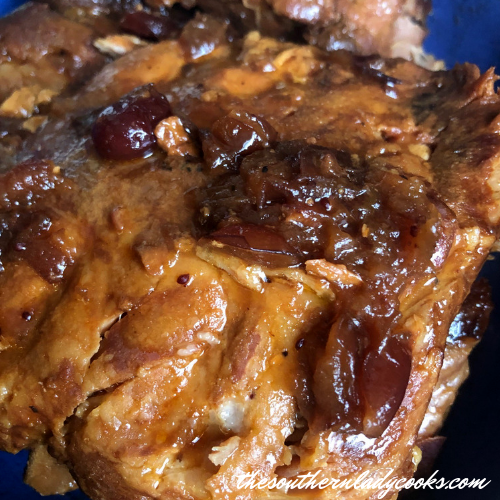 I made the crock pot pineapple cranberry chops today and they were excellent! Although they were tender, I found them to be a bit dry. Next time I will either use a thicker chop or reduce the cooking time. I will definitely make them again!! Highlight, copy, paste into an email. Made these yesterday for the first time and they are AWESOME.